How can hotel design make a property stand out in a crowded hotel scene? Furthermore, how can hotel design use local influences of culture, history and art to create a compelling theme? The New Hotel, which is part of the YES! Hotels group is a shining example of how great hotel design can work – how a 1950’s concrete structure can be given a new identity, a new voice, a new life. Under the careful and talented eye of Dakis Ioannou, the resulting design is bold, daring and innovative. In the following interview Natasa Papaefstathiou, NEW Hotel’s Assistant Hotel Manager in charge of Public Relations shares with us the remarkable transformation of the NEW Hotel from traditional to a trendy design hotel fit for the catwalk. What is your role at the New Hotel and what’s it like to work in such a beautifully designed hotel? I’m the Assistant Hotel Manager responsible for Public Relations at the NEW Hotel. What I love most about my job is that we offer our guests a personalized and totally different experience. The hotel’s unique and quirky design creates a special atmosphere for our guests. Comfort, reliability and attention to detail are our fundamental principles, and we do this with respect to Greek tradition and hospitality. Above all, the NEW Hotel offers something completely, dare I say, ‘new’ to the Athenian hotel scene, and I’m delighted to be part of this. All in all, it’s an inspirational place to work. The New Hotel has a very distinctive and recognizable design. Where did the design concept of your hotel come from? 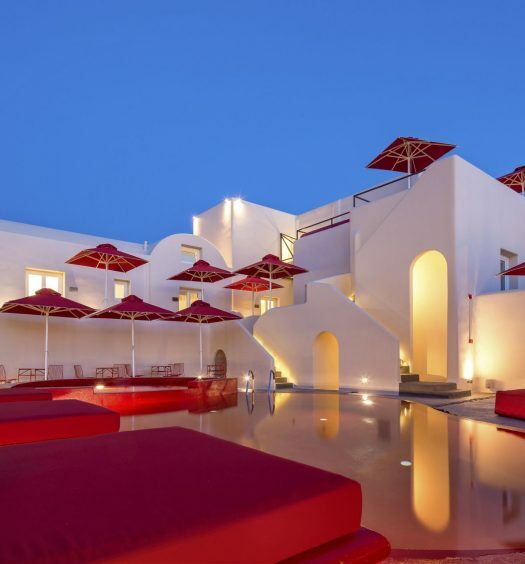 The New Hotel is the first hotel project of the award-winning designer duo, Fernando and Humberto Campana. As its name suggests, the New Hotel offers an entirely new approach to hospitality. Our challenge was to create a fresh, desirable and unique interior design which would provide the ultimate in lifestyle living. The international art figure and owner of Yes! 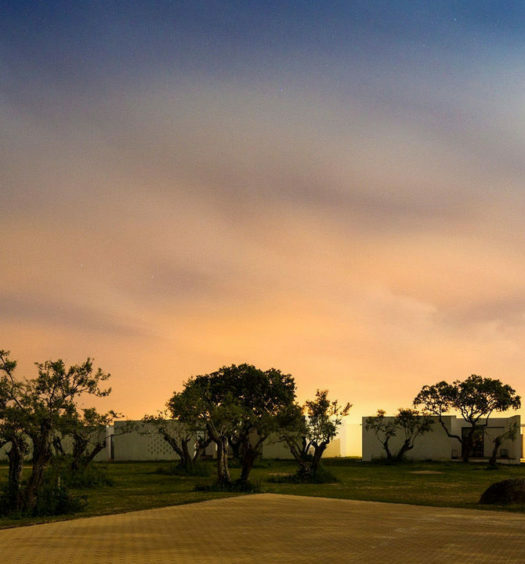 Hotels Dakis Ioannou chose to assign the work to the Brazilian Campana brothers. Their hallmarks of sensitivity to the environment, sustainability and use of local character were vital factors in his decision to work with them. Mr. Ioannou was fascinated with their distinctive design language, inspired by everyday street life, contemporary art and the culture of Sao Paulo and he gave them a “blank canvas”. The result speaks for itself: a remarkable, exciting and innovative 5-star hotel with 79 rooms and communal spaces spread over seven floors. Not forgetting that we redesigned everything to include elements of the previous Olympic Palace Hotel as well. As you just mentioned, the building initially housed the Olympic Palace Hotel. How did you manage to retain the character of the former hotel? I believe we succeeded in combining the history of the building and the Athenian tradition with modern design. We gave a new lease of life to old objects and handmade pieces designed by the pioneering Greek architect Iason Rizos. We also transformed art with the help of specialized craftsmen and carpenters. From the reception desk to the corridors to the restaurant, we wanted to honour local culture as well as use items and materials from the original hotel. We decided to focus the design on three Greek themes: the legendary Karagiozis figure (a shadow puppet), old postcards of Athens and the belief in the “evil eye”. We see many characteristic elements of decoration in the New Hotel. Is there one that you are particularly fond of? My favourite artwork is the collection of chairs by the Campana brothers, exclusively made for the NEW Hotel which are dotted around the hotel. Made from salvaged wood from the previous hotel, it shows how recycling can really work. What makes the New Hotel stand out from other hotels in the centre of Athens? Without a doubt, it’s the hotel’s design, a restaurant that’s as unique as its decor and 5-star service to match. The New hotel has a strong identity, its own voice if you like. For a small hotel, we pack in lots of facilities for our guests too. The rooftop Art Lounge bar-restaurant offers unique dishes and imaginative cocktails with grandstand views of the city. It also features an extensive “lending” library with over 2,000 books on art. The New Hotel is now a top choice in Athens for brunch. 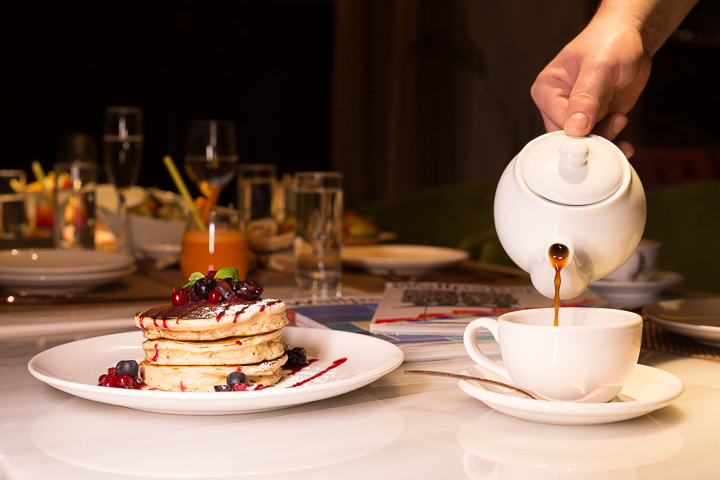 What made you decide to offer brunch and what is your favourite dish? The NEW Hotel quickly became a hot spot in the neighbourhood and offering brunch here seemed the right thing to do. 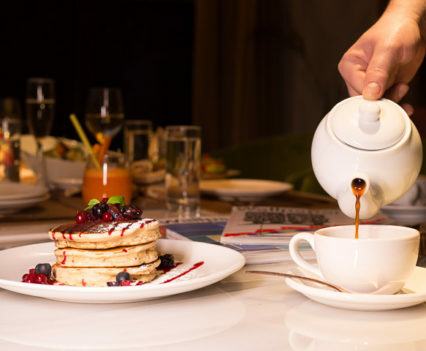 Every Saturday and Sunday, our brunch attracts the city’s coolest crowd. The emphasis is on fresh, healthy and often organic ingredients with some comfort foods thrown in for good measure. And with our own on-site bakery, the fresh breads and pastries are a real hit. 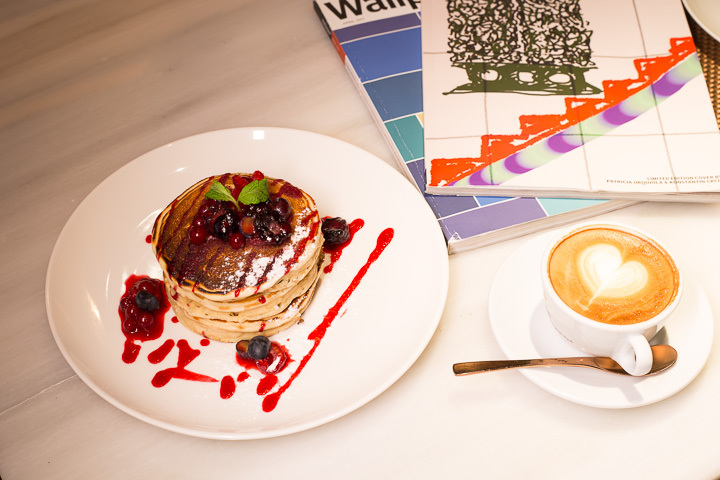 Expect all-time-classic flavours such as Eggs Benedict, New Taste hamburger, homemade pie or vegetarian buckwheat salad with rocket, pomegranate & citrus vinaigrette. 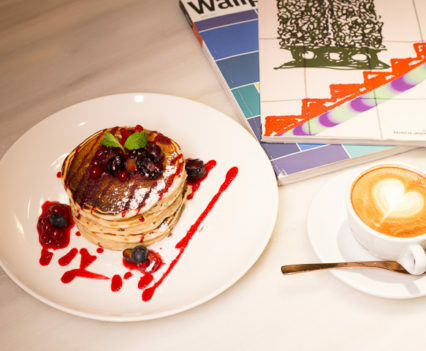 For those with a sweet tooth, we serve delicious pancakes with maple syrup or caramelized apple & cinnamon. Last November, we opened the fine dining restaurant NEW Taste, one of the most beautiful restaurants in Athens. Under the supervision of the Campana Brothers and the 3SK office, it’s a design-fan’s dream. Sophisticated, welcoming and cosy, it serves up mouthwatering Mediterranean and International cuisine. Breakfast is an essential part of the guest’s experience. What makes your breakfast unique? We take breakfast very seriously here. The hallmark of the breakfast is the delicious home-made breads and pastries, including gluten-free options. They are all made in the on-site bakery. We offer a wide choice for breakfast so there’s always something for everyone, no matter what their taste or mood. I recently read that your rooms tell a story. Can you explain the story and how this is reflected in the design? Three design concepts based on Greek culture were used in the rooms: the Karagiozi which are shadow puppets, the “evil eye” and postcards of old Athens. The gold mirrors, bamboo walls, sculpture-like bathrooms, natural materials, opaque glass surfaces and figures all create a modern design in a fun and colourful way. We wanted to give our guests a local experience throughout the hotel and by honouring local culture in the design of the rooms, I think we achieved this. What’s the most impressive room in the hotel? Without a doubt, the Penthouse Suite is the most unique and impressive room in the hotel, if not in the whole of Athens. Every piece of furniture, every object and decorative item down to the custom-made carpet was chosen to help create an eclectic space. The suite has a large veranda complete with outdoor beds offering 360 ° views across the city. We see that you place a particular emphasis on the traveller’s overall wellness experience. What inspired you to create such a comprehensive therapy menu? New Hotel invites you to discover a world of balance between body and spirit, to unleash your senses and experience absolute relaxation. Guests can work out in the fully equipped New Senses Gym, relax in the jacuzzi, release tension in the steam room and enjoy rejuvenating treatments. We have a fantastic range of treatments and therapies. Couples can enjoy a complete spa treatment together in the private spa suite. Highly qualified and experienced therapists give Age Smart anti-ageing treatment and Vital Eye Rescue specially designed for the sensitive eye area. We even have a Jet-Lag Aromatic Remedy program. All Yes Hotels have many ‘Instagrammable’ spots. What’s the Instagram hot-spot of the New hotel? I have to be honest. The whole hotel is ‘Instagrammable’ at every turn, but I guess the hot-spot has to be the Favela wall in the Hotel lobby. The hotel sounds like a year-round destination in its own right. But what are the reasons for someone to visit in the summer? The New Hotel is a perfect choice of accommodation in the centre of Athens, both for leisure and business all year round. Summer is an ideal time to visit Athens. The location of the hotel means you have access to all the main sites in the city. One of my recommendations to our guests is to stroll through the beautiful neighbourhood of Plaka. It’s the oldest and most historic neighbourhood in the centre and easily accessible from the hotel. Balmy summer’s evenings can be enjoyed on the rooftop Art Lounge terrace relaxing with a refreshing cocktail. The scenery and the views are breathtaking. Of course, the ultimate summer in the city experience has to be our unique “sleeping under the stars” experience where you can chill-out on the outdoor beds of the Penthouse Suite veranda. And finally a word from us. The New Hotel project is a model of great hotel design that we can all take inspiration and ideas from: reusing materials, taking cues from the local culture and importantly regenerating an old property into something NEW! As this hotel design triumph shows, design looks like it’s here to stay as a key trend in the development of hotels. Over and over again, we see design-driven transformations of hotels which create competitive advantage and boost customer satisfaction. 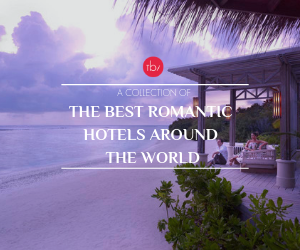 The boutique hotel market started this trend and they are springing up all over the globe. Will this design focus also be scalable to larger hotels and resorts? Time will tell. In the meantime, stay tuned for more design success stories on Hotelier Academy.